A redesign of Grishenko Novoye. Opiyat is Russian for "again" (so "Grishenko Again"). Inspired somewhat by the House Industries design Spaceport. According to Translate, "again" is properly spelt "opyat" (опять) in Russian. Let's just pretend I spelt it right in the font name, shall we? Спасибо. I know I redesigned the K and the X, there are some alternate characters in the fullwidth area, and maybe some cosmetic changes to a few of the ASCII characters. That's a shame; Grishenko needs to be revived. 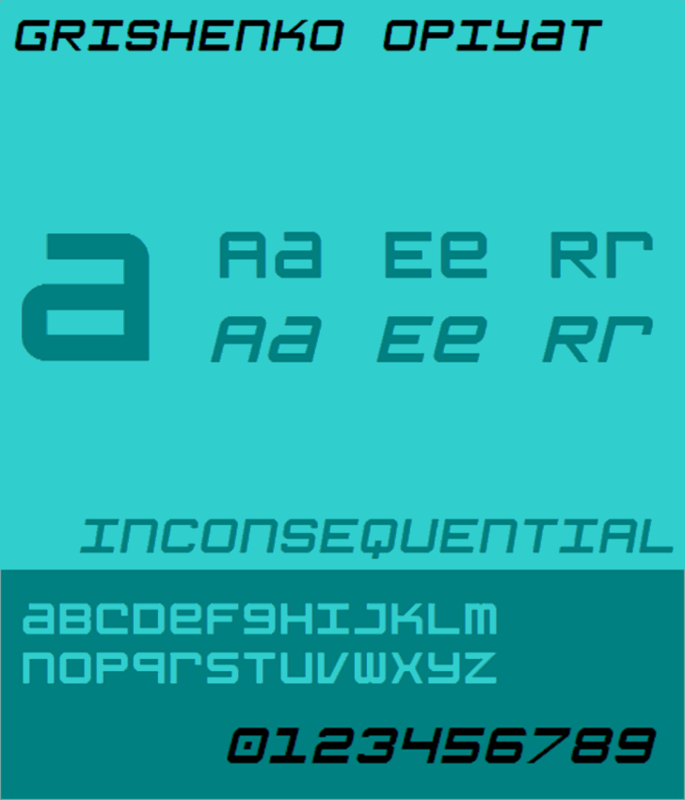 For now, I'm currently working on my new handwriting typeface based on one of the fonts in the series.